Omaha-based sculptor Chris Cassimatis brings his latest works of cool elegance to the March 1 exhibition Edifice in Stone and Steelat Modern Arts Midtown, also featuring art by Larry Roots and Kenneth Adkins. As reflected in the exhibition’s title, Cassimatis’ work gives off a strongly architectural vibe, as if you were looking at Bauhaus maquettes or Philip Johnson designs. His spare “less is more” approach yields sculpture that is crisply volumetric with both solid and open geometries. 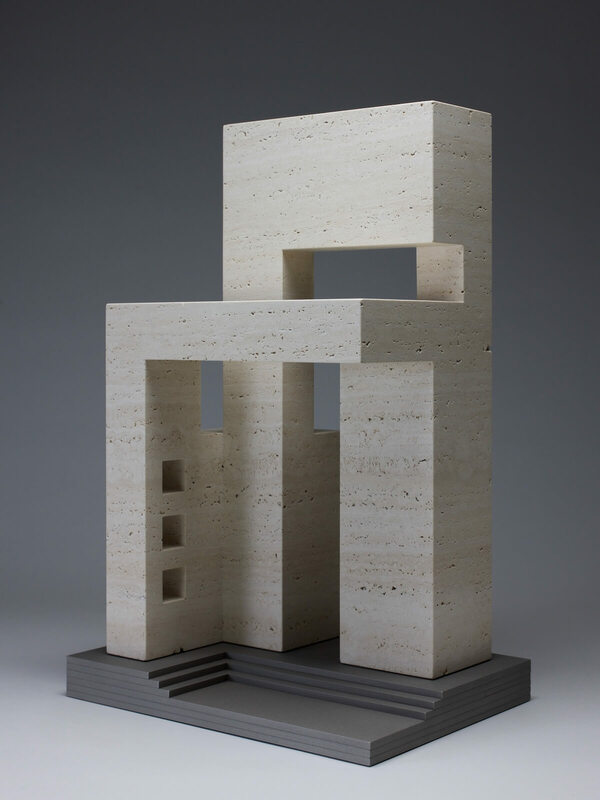 Creating shapely, often rectilinear formations out of travertine, slate, limestone and marble, Cassimatis couples his smooth, hard-edged abstractions with equally geometric treatments of steel, whether as sculptural base or integrated compositional elements. He has a distinct preference for natural stone with few inclusions or patterns so that the emphasis is equally on the aesthetics of the material and the sculpted form. Chris Cassimatis: Edifice in Stone and Steel also featuring Larry Roots and Kenneth Adkins opens March 1 and runs through April 24, 2019, at Modern Arts Midtown, 3615 Dodge Street. Gallery hours are Tuesday-Saturday from 11am to 6pm. For further information, contact 402/502-8737 or visit modernartsmidtown.com.